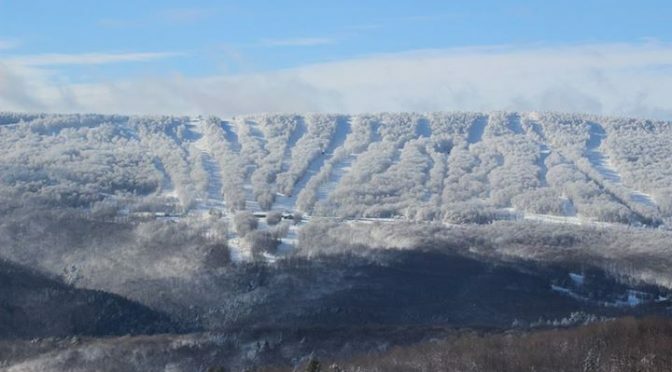 Highmount, NY – New York State Governor Andrew Cuomo today announced that the state will invest an additional $8 million for upgrades at Belleayre Ski Center in Highmount to attract more visitors and build on the Catskill Region’s tourism industry. The investment will include the installation of a new high-speed gondola and multiple lodge expansions. Thursday’s announcement follows an angry reaction by Belleayre enthusiasts to Gov. Cuomo’s January announcement of a $20M investment in Whiteface and Gore Mountain Ski Centers in the Adirondacks — the other two ski areas owned and operated by the state’s Olympic Regional Development Authority (ORDA) — that left Belleayre out. Upgrades at Belleayre Mountain include the construction of a $5 million high-speed, eight-person gondola that will span from the lower mountain Discovery Lodge to the mountain summit. The new gondola will include 65 cabins that will transport guests to the summit in under six minutes, and will also permit new cross country skiing at the expansive summit of the mountain, year-round scenic gondola rides, lift-served summer mountain biking, and wedding and private party rentals at the mountain summit. 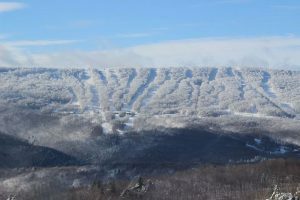 Currently, Belleayre Mountain has two primary day lodges, the Discovery Lodge at the lower base area lodge that services beginner terrain and rental facilities, and the Overlook Lodge, which accesses the upper mountain offerings and handles the majority of food and beverage offerings. The state will provide $1.5 million for upgrades at each of the lodges. Discovery Lodge will increase its current seating capacity, retail space, and food/beverage locations, and will add office space. Improvements at Overlook Lodge call for expanded seating capacity, storage and locker areas, food and beverage offerings, and daycare facilities. These new capital investments in Belleayre are being added to the Executive Budget as part of the 30-day amendments, submitted today. New York’s fiscal year 2018 Executive Budget already includes $12.5 million for ORDA facilities, which includes the three ski areas along with Olympic facilities.